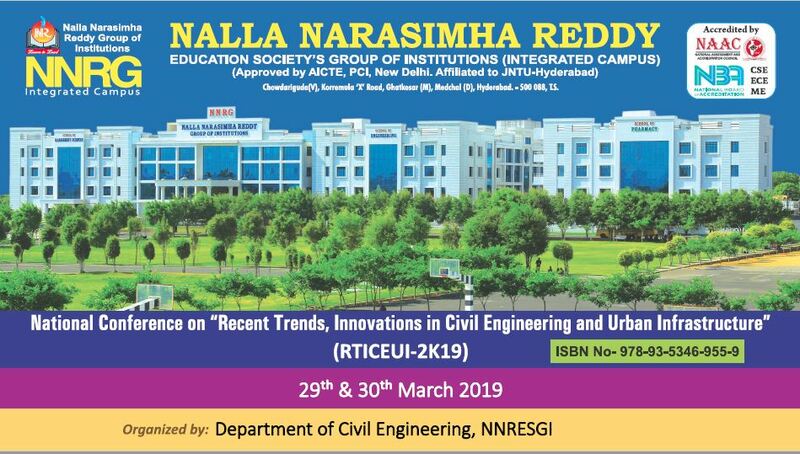 3rd NationaL Conference on “Recent Trends, Innovations in Civil Engineering and Urban Infrastructure (RTICEUI-2K19)“ on 29th – 30th March 2019 Organized by DEPARTMENT OF CIVIL ENGINEERING. A Two Day National conference on “Innovations and Emerging Trends in Management Sciences(IETMS-2019)” will be held on on 29th – 30th of March, 2019 organizing by School of Management Sciences-NNRG. The seeds were sown in 2009 for School of pharmacy and it is offering the fruits of success to hundreds of pharmacy graduates and post-graduates. The mantra for career for sure. The School of Management Sciences was started at NNRG in 2009, and the intake is 120. It offers the students with all the specializations approved by JNTUH and high quality hands-on experience. To be a premier institution ensuring globally competent and ethically strong professionals. Incubation Center is an educational project which provides specially designed incubators for colleges within their own premises. Once a student registers for the course, Collab ensures an overall development of the student ranging from technical training to personality development which maximizes the chances for the student to achieve the best in the competitive job market. Robotics center provides our students a practical application of technology and learning from their curriculum by participating in interestingly designed problem solving task. This Society is established and registered with a primary objective of educating young men and women to prepare them for fast changing national and international requirements, to fund the needy and promote research in the area of science and technology. Accordingly, an Integrated Contiguous Campus with multi-disciplinary Technical, Engineering, Pharmacy and Management programs under the banner of Nalla Narasimha Reddy Education Society’s (NNRG) Group of Institutions is started. 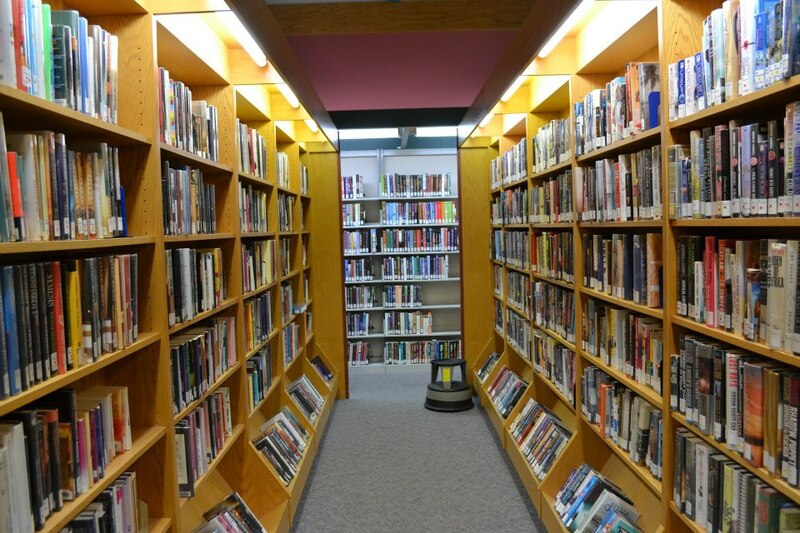 NNRG is proud of its library which is spread over a floor area of 1000 Sqm having a separate lending section, the reading section, journal section and digital library section. The modern library contains more than 20000 volumes of books covering about 2000 titles. Hostel for Girls is available in a 2 acre campus, with all the facilities, like Spacious Rooms, Study Room, Hot Water Facility, Delicious Food, Great Entertainment Features, Fine Hygienic and Safe Environment, and Exemplary Infrastructure. Huge fleet of Buses from all the corners of the city with highly experienced drivers, are offered. Free transport facility for the students, from Narapally X road to campus is provided. The RTC is a special facility unfolded to our students for their convenience. NNRG offers exquisite state of art laboratories in each department, which provides the hands on approach to the students, which foster their knowledge in the subjects. NNRG is highly committed to impart the students with the practical experience. NNRG encourages both outdoor and indoor games. The campus is enriched with highly spacious green grounds and exquisite sports facilities like Basket Ball, Cricket, Volley Ball, Throw Ball, Football etc. are offered. The Campus Cafeteria is Multi-Cuisine, Health-rich, Hygienic and Attractive. The elegant in-campus store “READERS”, featuring all stationary, gift articles, Xerox and energy drinks, are available for the students as well as staff members. Nalla Narasimha Reddy Education Society is established and registered with a primary objective of educating young men and women; to prepare them for fast changing national and international requirements; to fund the needy and promote research in the area of science and technology. Accordingly, an Integrated Contiguous Campus with multi disciplinary Technical, Engineering, Pharmacy and Management programs under the banner of Nalla Narasimha Reddy Education Society’s (NNRG) Group of Institutions is started. This Institute is affiliated to JNTU – Hyderabad. Approved by AICTE – New Delhi. NNRG was established in the year 2009 with sole objective of providing world class technical education. NNRG believes that our country can only progress through skilled manpower. Discipline, Hard work, Respect& Values are the hallmarks of NNRG. The motto of NNRG is “Dream Big and Aim High”. Nalla Narasimha Reddy Education Society is established and registered with a primary objective of educating young men and women; to prepare them for fast changing national and international requirements; to fund the needy and promote research in the area of science and technology. Accordingly, an Integrated Contiguous Campus with multi disciplinary Technical, Engineering, Pharmacy and Management programs under the banner of Nalla Narasimha Reddy Education Society’s (NNRG) Group of Institutions is started. Studying at NNRG has been a breath of fresh air. The teachers are supportive whenever we need help. There are many facilities to improve our academic skills and professional progress. NNRG is a cool place to transition into a professional. It provides facilities that enable our growth in various areas. Learning almost seems effortless, such is the environment! “Start where you are, use what you have and do what you can” this is what my college taught to me. I am grateful to my faculty who encourages me to do right things in right time to achieve my goals. My curiosity in learning is strengthened after joining this college. I am experiencing a very calm and breezy learning atmosphere here. Nice to have a cluster of highly motivated & dedicated faculty. NNRG is too good in providing education. During my tenure in the college,Due to the excellent coaching. NNRG is one such institution where we get safe, professional and friendly environment to study. I’m thankful to my faculty for their which helped me to overcome all my fears and grow out confident and future ready. NNRG has given me a platform for the overall growth and development.The campus has excellent infrastructure, a pleasant place to learn. I had countless opportunities to develop my skills and leadership qualities.